Can You Drink Alcohol On A Low-carb Or Ketogenic Diet? The answer is YES, but what you choose to drink will depend on your weight loss goals. We all know the social benefits, enjoyment, and relaxation that go along with drinking, and it’s tough to give up something if you enjoy it. However, consuming alcohol while on a ketogenic diet can be challenging. Avoiding carbs in alcohol may seem impossible, and because of this, many people choose to not drink at all. But with a bit of know-how, it’s likely that you can enjoy alcoholic drinks and still maintain your low-carb diet! In general, it’s a good idea to be very cautious with alcohol while on a ketogenic diet. Read on to find out if alcohol will fit into your low-carb lifestyle. Alcohol consumption will look a little different depending on your individual goals for low-carb dieting, so it’s important to know where you stand. 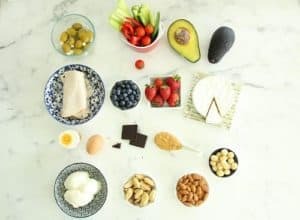 If you do want to drink alcohol while on a ketogenic diet, there are two main factors that you should consider: are you trying to lose weight, or are you maintaining your weight? This will dictate which drinks you should choose. When trying to lose weight through a low-carb diet, you’ll need to avoid most types of alcohol. 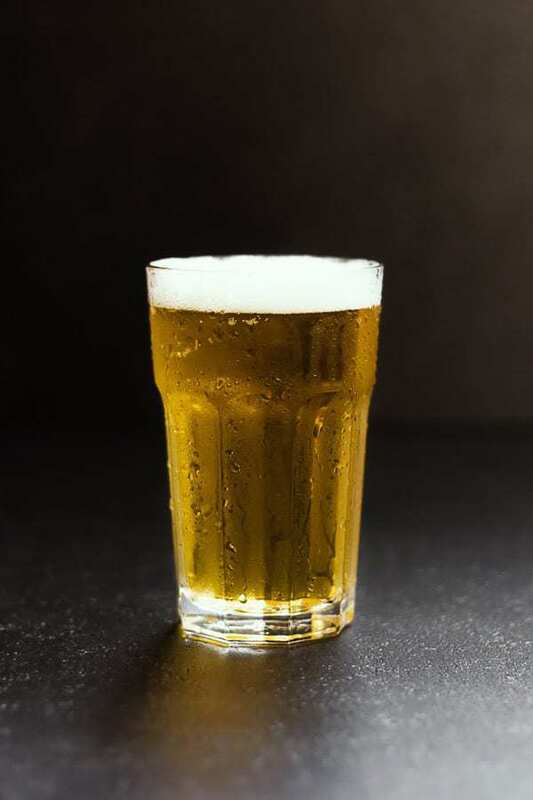 There are some alcoholic drinks that contain very few carbs, such as liquor but common drinks such as beer and wine will interfere with your diet. The body treats alcohol primarily as a source of fuel. When you consume alcohol, you are no longer using fat as a fuel. While the alcohol is in your system, instead of burning away excess fat, your body will prioritize processing the alcohol. Your liver views alcohol as a toxin and wants to move it through your system. While you’re burning off the alcohol, the time spent in ketosis is reduced and you won’t be losing weight. Drinking basically stalls the weight loss process and delays fat burning. Occasionally you may be happy to enjoy a drink on a special occasion and just accept that it will halt the fat burning process temporarily. This means you can get back on track the next day and give yourself a break every now and then. Especially around the holiday season, it’s nice to enjoy a drink if you’ve been abstaining for a while. If you do choose to drink alcohol, be aware of how it may affect your body and your diet plan. For more information, see the section below – Tips for Lowered Alcohol Tolerance On A Low-Carb Diet. For simple but effective weight loss tips, check out our post on 10 Simple Daily Habits For Weightloss. When your goal is maintaining your weight rather than losing it, a moderate amount of alcohol isn’t as big of a deal. If you are eating a higher amount of carbs each day (50+ net carbs), drinking a moderate amount of alcohol is probably OK in the scheme of things. You will still want to be very careful of the amount of carbs in each drink. Scroll down to see our comprehensive list of carbs in alcohol. The body will process alcohol as a priority, using it as fuel first instead of any fat in your body. High-carb drinks like beer are notorious for causing people to gain weight, so always be cautious when choosing your alcoholic drinks. The best choices are dry white wine, red wine, champagne and spirits served neat or with a low-carb mixer such as soda water and fresh lime. Check out our Low-Carb Alcohol Carbohydrate Content Guide below to see which alcoholic drinks have the least carbs. Download our FREE Low-Carb Alcohol Cheatsheet below. Print it out and keep handy! Ketogenic diets notoriously reduce alcohol tolerance. You may find that you get intoxicated much more quickly and experience worse hangovers than usual. You may be more tempted by high-carb foods after alcoholic drinks as well. Hello bar snacks! 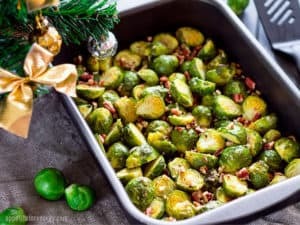 Personally, I find that I feel absolutely awful the next day after 1-2 glasses of wine if my net carbs are below 50g per day. If I’m eating 50-100g net carbs per day, then a glass of wine in the evening is fine (and very enjoyable!). Be sure to drink plenty of water if you are going to drink alcohol. As a general rule, one glass of water per one shot or glass of alcohol you drink is encouraged. Different beverages have different effects on different people, so try out beer, wine, and hard liquors to see how you feel. A bit of experimenting will help you to determine what is best for you. Always keep your intake low since you are not eating enough carbs to soak up the alcohol and slow absorption. It is a good idea to stick with one serving per day. To learn more about the importance of drinking extra water on a ketogenic diet, click here. Here’s a crash course to help you decide which alcoholic beverages to consume while on a low-carb diet. In general, beer has the highest amount of carbs per serving (12-8g), followed by light beer (2-7g), dry white wine (3-5g), red wine (3-4g), champagne (1.5-4g), and then spirits (0g). 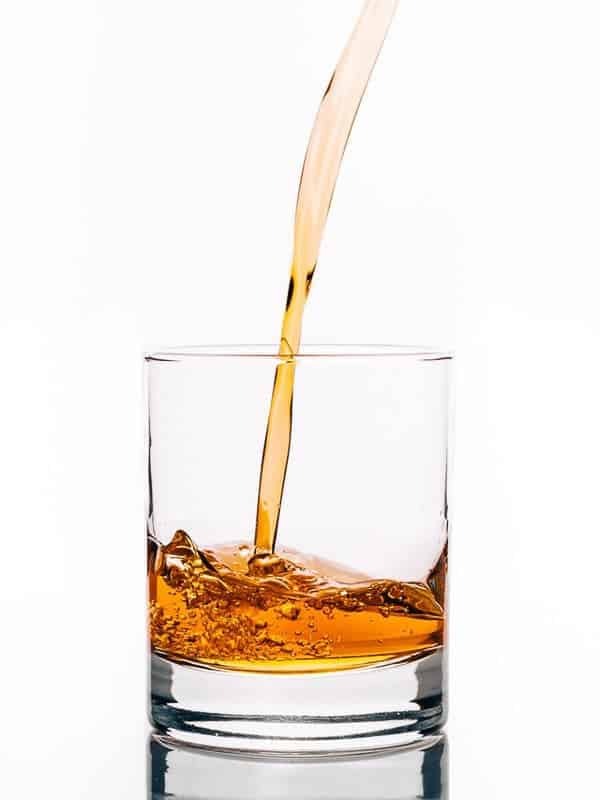 Hard liquor is the best choice, but be careful of mixers, as they often have high sugar content. Read on to discover whether you can enjoy your favorite alcoholic beverage on a low-carb diet. Download our FREE PDF Low-Carb Alcohol Cheatsheet below this post. Scroll down to get it! Spirits have the least sugar and zero carbs when taken straight. However, you need to be thoughtful about what you mix them with. Most mixers have lots of sugar. A good example of this is tonic water, which is a popular mixer to serve with gin. Tonic is high in sugar and carbs and will totally blow out your carb limit. Fruity, sugary drinks are an obvious “no.” Avoid drinks with syrups in them without prior research. Try soda water with a squeeze of lemon or lime juice and your spirit of choice to get the mixer experience without the extra carbs! The carbohydrate count in cocktails varies widely based on the ingredients used. 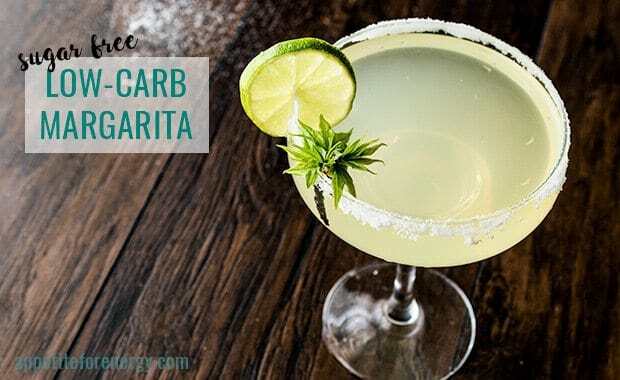 They are best avoided while at a bar so if you are craving a cocktail, make a low-carb version yourself at home. Many cocktails contain sugar syrup, fruit juice and other sweeteners. Another good reason to avoid cocktails while on a ketogenic diet is the high alcohol content. You usually don’t know how much alcohol is in your cocktail so it is difficult to monitor your intake. Run the already squeezed lime around the rim of the glass. Pour the salt onto a plate and dip the rim of the glass into the salt so the edges become covered in salt. Combine the tequila, Cointreau, lime juice and ice in a cocktail shaker and shake vigorously for 1 minute. Pour the margarita into the glass and enjoy. Notes – this cocktail (like most) is very high in alcohol so consume thoughtfully. Champagne and white wines contain carbs and sugars, though dry wines will contain less sugar. A glass of dry white wine (5 fl oz or 150ml) contains 3-5g net carbs. Champagne and sparkling wine can vary from 1g to 4g net carbs. Sweeter wines like Moscato will have more sugar in them (11g), so it’s a good idea to stay away from them if possible. Dessert wines (sherry, port) are also very high in carbs. When dining out, wine might be your best option. Still, a typical glass of red wine has up to 4g net carbs. 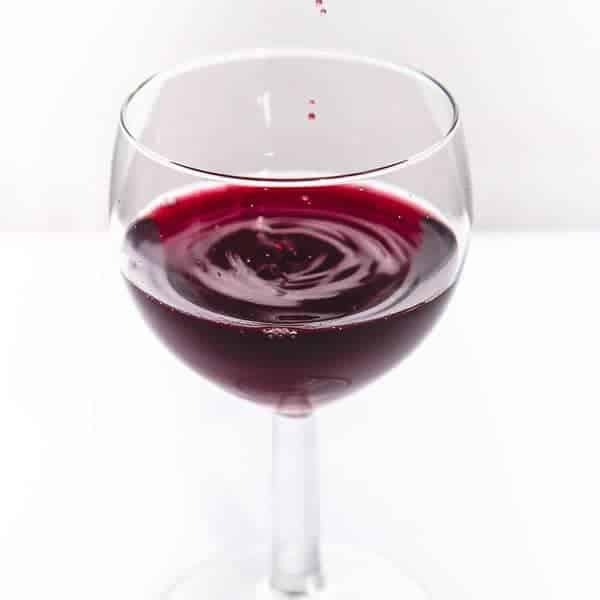 Red wine does have some health benefits in moderation, but these benefits may not be as useful while on a ketogenic diet. Keeping intake low is still best, but a glass every now and again, if it fits into your diet, is perfectly acceptable! Most beers are fairly high in carb count, so it’s better to avoid them if possible. Lighter beers will have less carbs, but it’s still a good idea to look them up beforehand so you know what each contains. One bottle of regular beer (12 oz or 350ml) typically has anywhere from 12g to 18g net carbs. A bottle of Light beer (12 oz or 350ml) has from 2g to 7g net carbs. Bud Select, Bud Select 55, Miller 64 and Michelob Ultra are all good options if you want a low carb beer with around 3g net carbs or less. Be careful, though, as some such as Coors Light and even Heineken Light have over 5g net carbs. Beer: one bottle (12 oz or 350ml) : 12-18g net carbs. Light beer: one bottle (12 oz or 350ml) : 2-7g net carbs. You can download our FREE Low-Carb Alcohol Cheatsheet below this post. Scroll down to get it! Fortunately, there are lots of resources online that you can use to figure out the carbs in every alcoholic drink you might choose. This carb counter is a quick and easy way to look up carbohydrate counts of other alcoholic drinks that you have questions about. Let us know in the comments below what your favorite low-carb alcoholic beverage is? What tips do you have for enjoying alcohol while eating a low-carb or ketogenic diet? We’d love to hear from you! 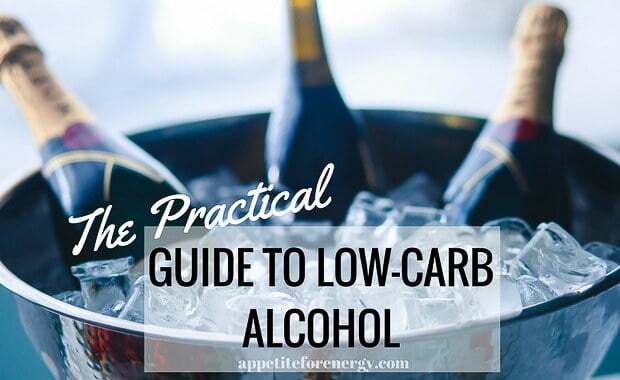 If you have found The Practical Guide To Low-Carb Alcohol useful, please share it with others that might find it useful! FOLLOW US on FACEBOOK, INSTAGRAM and PINTEREST for more guides like this and delicious 30-minute low-carb recipes!